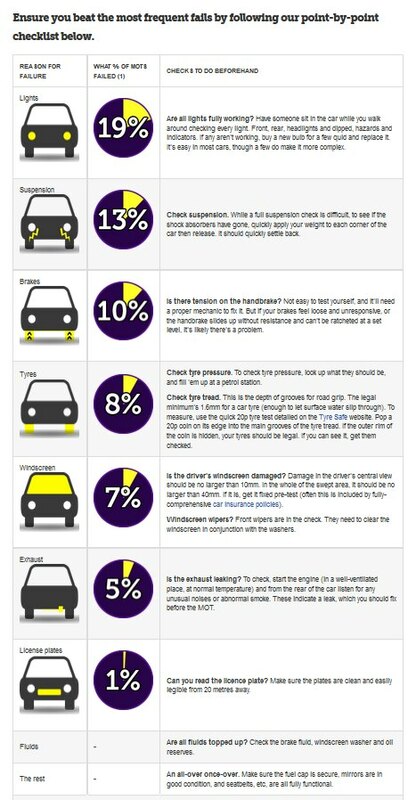 Nearly 40% of MOTs fail first time, and many are due to a simple avoidable reason. Don’t worry — this is common sense, not mechanical sense. Some of the fails you can sort yourself, others will need a professional. Either way, sorting it before the test is usually cheaper. One in five vehicles fail MOTs due to a faulty light bulb. So walk around to check your cars indicators and headlights, front and back.